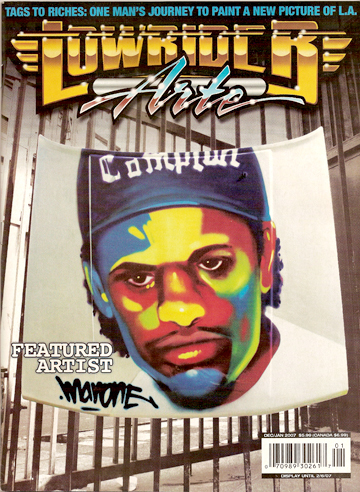 Lowrider Arte's 2007 kick off issue. 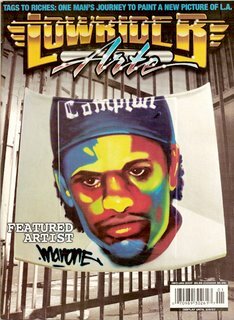 Aside from his "Boyz on the Hood" Eazy-E portrait on the cover of the magazine, there is a nice six page spread on some of his work and history. 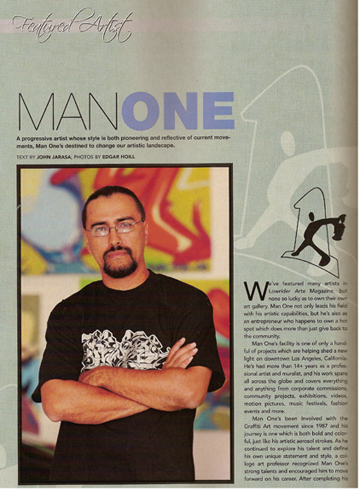 CONGRATS ON THE KICK-OFF ISSUE HOMIE! DOIN BIG THANGS!